Have you found an online vendor selling Bundaberg Small Batch? Throughout my younger days always loved the up bundy and coke. After trying this it's hard to go back to up. So much smoother than regular bundy while still similar in taste. Price increase is worth it just for the perfect cork opening sound every time you have a drink. Great as a mixer with coke or in cocktails. I probably wouldn't drink it neat myself but I am sure a few do! I had an amazing opportunity to try a dozen different unopened Bundaberg's with my Aussie colleague last year and the Small Batch is one smooth rum. Has a lot of whisky like flavor profile and a bit of a afterburn at the end, but out of all the Bundy's I had a chance to try out, this was one of the smoothest of them all. Very close to the 10 year old Bundy in flavor profile. Tis een heerlijk rummetje om lekker weg te drinken in de kroeg. Normal Bundis tend to be mixer drink at best. This is more caribbean in its flavours. I got it discounted from VintageCellars, and at that price point it was the best option on the shelf. It's quite far from the MDC rums though, which is a shame. 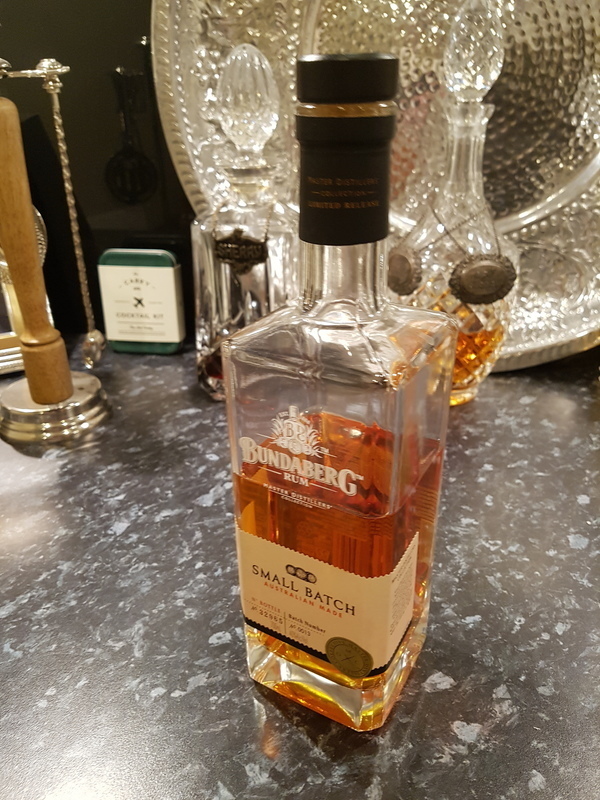 When I started drinking rum I liked the good old classic bundaberg, but as I moved forward experiencing carribean rum I felt the difference and the rest of the classic bundaberg would only be used for some mix cocktails. As I saw this bottle I gave bundaberg another chance and really wasn't disappointed. A nice, dark and sweet rum for easy straight up drinking. Easy quaffable rum. More than a few times I have drank a bottle before I knew it and was off chops. Small Batch is a mid-range Bundaberg Rum at around $50. It's above their standard range of UP/OP products ($35), but below the Master Distiller Collection (MDC) range at $90. Not as oaky as a lot of their rums. Which is a bonus. A lot sweeter than a lot of the Bundy range as well. Also not as hot on the throat with the alcohol burn. Beautiful golden colour. You can do 1 or 2 shots neat, but I'd draw the line there. Because of its sweetness and distinct lack of oakyness this will mix with a lot of other drinks other than Coke. But for what it's worth, lots of ice, 2 shots of Small Batch, few shakes of Coke Zero (no sugar) and we are in business here. For your buck there are better options out there. Its drinkable on the rocks or neat in a pinch, if you like a bit of warmth in your throat. 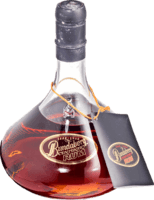 The unfortunate part is this is meant to be a cut above this distiller and unfortunately it is well short of some of their other offerings at similar or lower prices (Distiller's NO.3, Bundy Red and Select Vat). I wouldn't call it a sipper, not the worst I have tried, but not comparable with others in the same price range. There also seemed to be a definite flavour difference between Batch 1 and batch 2, with batch 1 being far more mellow.